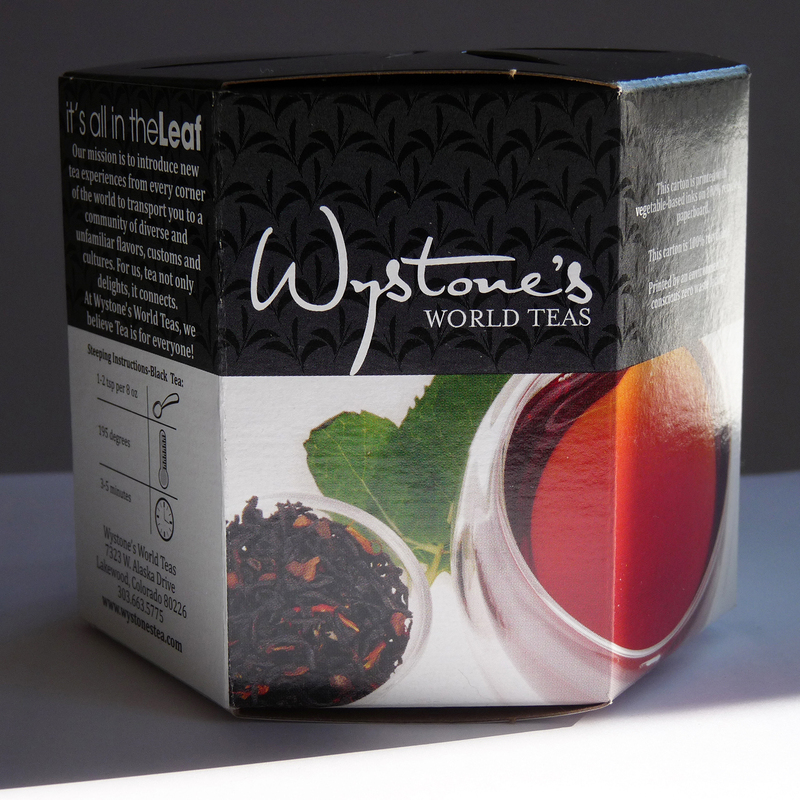 Wy Livingston, owner of Wystone’s World Teas needed a package that reflected her expansive mission, and brand promise to introduce and connect people with tea. 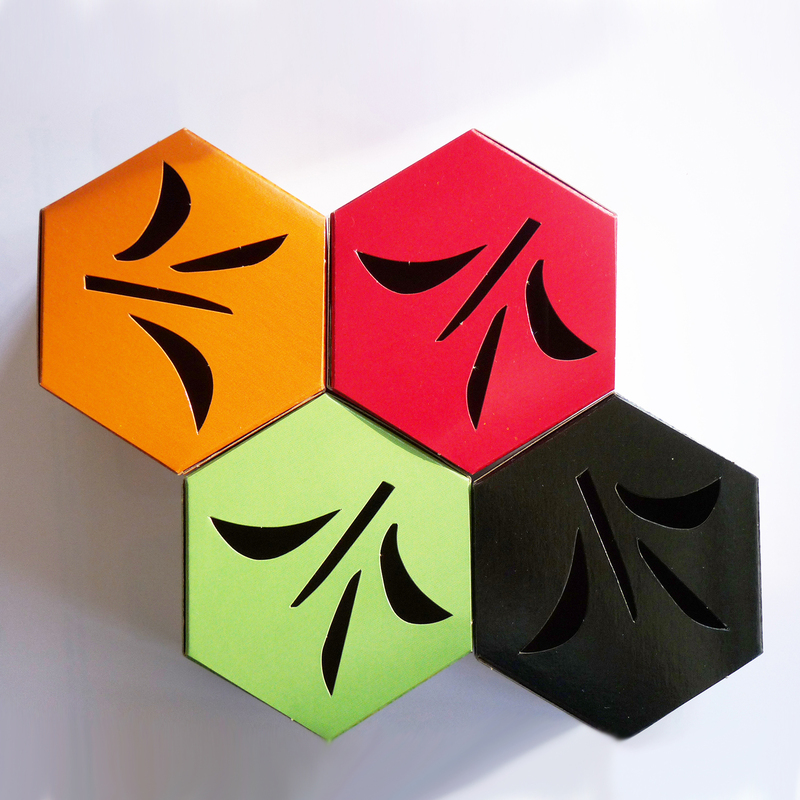 Our solution was a hexagonal box. 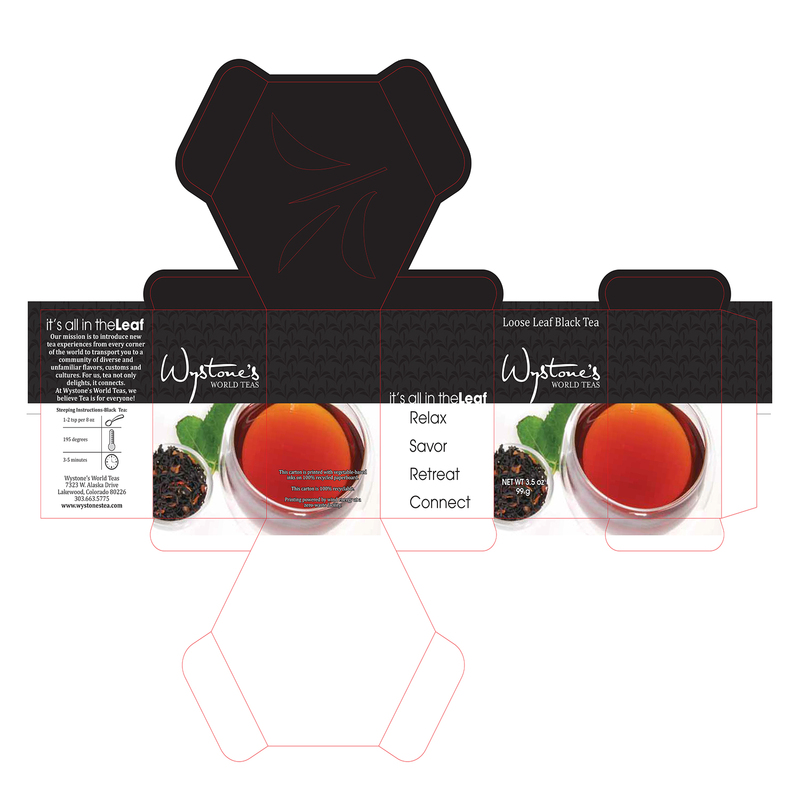 Something that’s consumer-engaging, but practical. 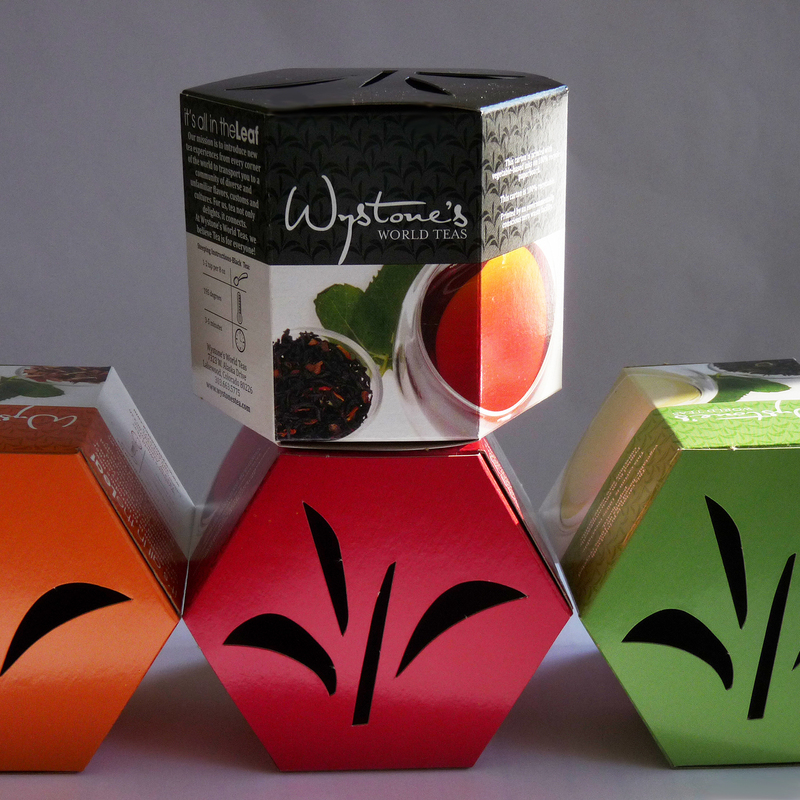 Perfect as a specialty store giftable item and at home on any retailer shelf. 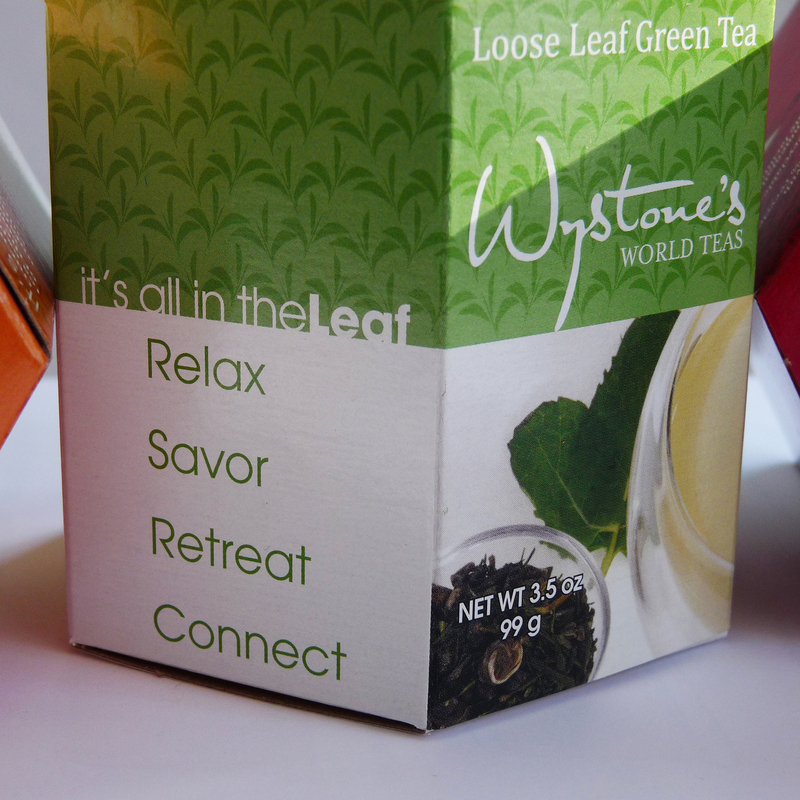 Wystone’s tagline is, “It’s all in the Leaf”, so we created a see through die-cut leaf design on the top panel to showcase the tea and to better connect people with the flavorful ingredients inside. Colors that stand out. A brand that connects!